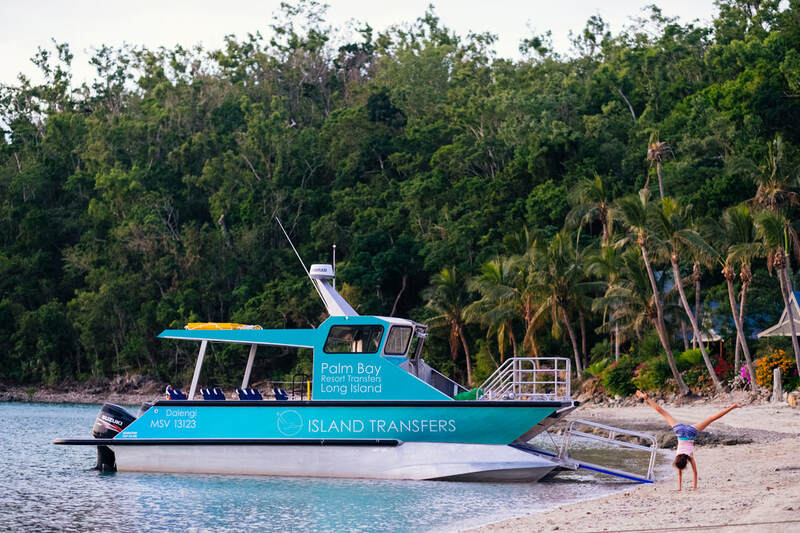 We organise all connections to get you to Palm Bay Resort in comfort, safety and style in a modern, safe fast-cat vessel. Choose your dates and scroll down to book your trip to Palm Bay Resort. For self-driving guests. 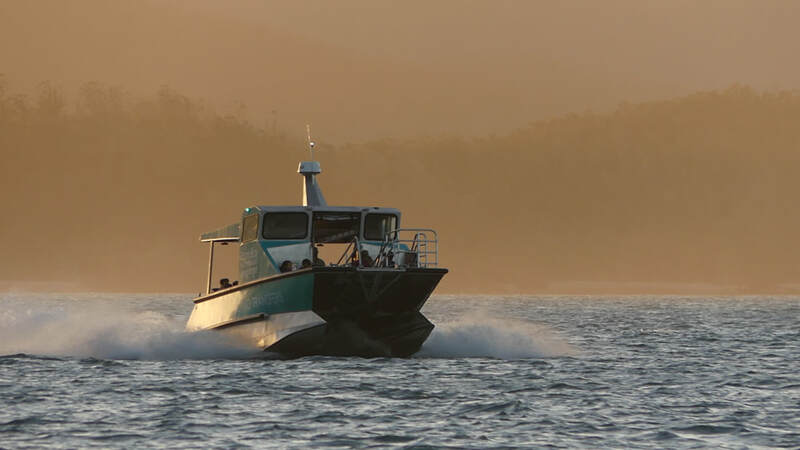 Shute Harbour is 10 km past Airlie Beach and has FREE PARKING. Follow the main road until the end and you are there! For those flying to Whitsunday Coast (PPP) Airport at Proserpine. We meet most flights with a shuttle bus and connect to the boat. Some flights have a layover in Airlie Beach (good to do shopping) while those arriving around 9:00, 12:30 or 3;30 will come directly to the harbour (best to order food in advance). If we do not have a connection for your flight we can arrange for a private charter if needed. 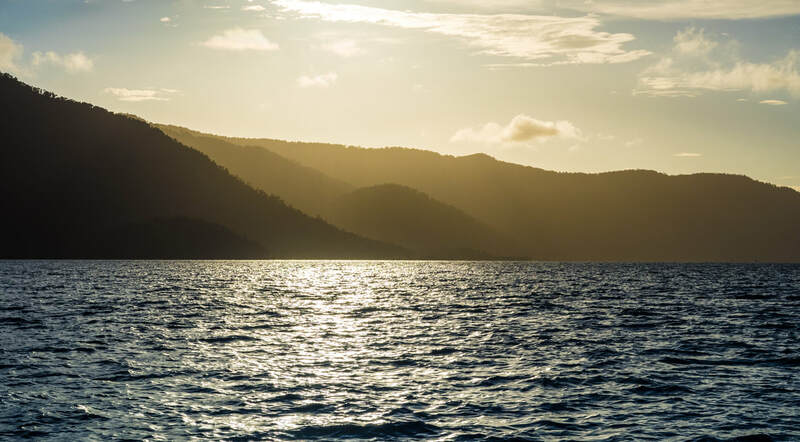 If you have a car, book the Shute Harbour to Palm Bay ticket as there is FREE PARKING at Shute Harbour.We cater for arrivals for Palm Bay Resort via Shute harbour, Airlie Beach, and Proserpine (PPP) airport. -If passenger numbers exceed 20 people, a second service may be scheduled approximately 50 minutes later. -Cancellation within 24 hours will incur a cancellation fee of 100% of the fare. -Passengers shall at all times follow and carry out all lawful directions of the Master of the vessel, particularly in relation to (but not limited to) personal safety of themselves and other passengers. - Passengers are required to be seated when advised or requested to do so by the Master for any reason. - Passengers are required at all times to take all reasonable precautions for their own safely and the safety of any person in their care (particularly children). This includes (but is not limited to) using hand and guard rails at all times as provided around the vessel, appropriately restraining children and ensuring that children are accompanied by a responsible adult at all times and paying attention to the safety briefing given by the master at the beginning of the voyage. - Passengers are advised and required to take particular care in conditions of inclement, rough or heavy weather or as advised by the crew. - Neither the carrier, the vessel nor any crewmember shall be held responsible for any loss or damage (including personal injury) suffered by any person, as a result of breach of that person’s safety obligations (as detailed above), or their failure to utilise all safety devices and precautions as provided and/or advised on board the vessel, or caused by any passenger acting in an unreasonable, unnecessary or unsafe manner.